Wondering if stained concrete is right for you? To help you decide, here are answers to common questions about stained concrete benefits, appearance, performance, and maintenance. 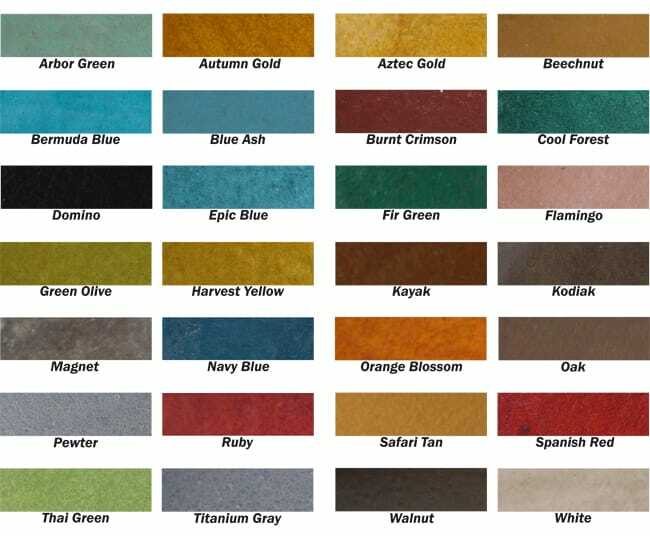 Colors will vary depending on whether you are using an acid or water-based stain. Acid stains will limit your color choices. Stain colors can be mixed before application to achieve a different shade or apply one color over another. Deeper color effects can be produced with a stain by applying two coats. 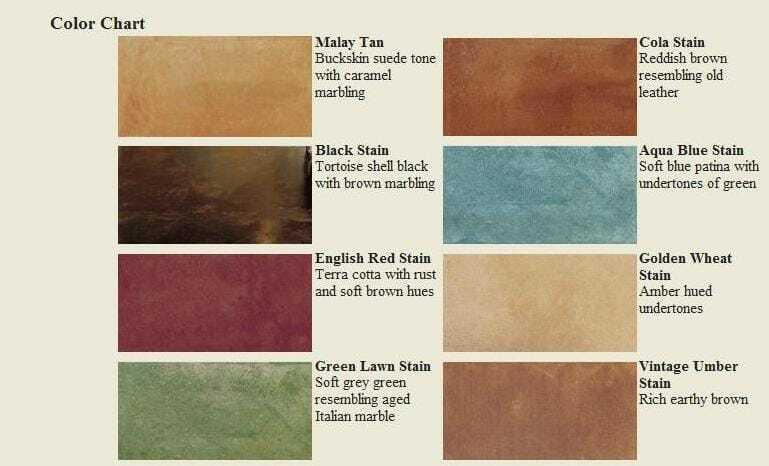 If you want to go beyond the subtle drama and subdued color palette of acid staining, water-based acrylic stains will give you a wider spectrum of hues to choose from. Most manufacturers offer dozens of standard colors. With acid-based stains, wide color variations are normal. Surfaces will have a mottled, variegated appearance. With some acid stain colors. The stain may not reveal its true color until it has been on the concrete for several hours. Always apply the stain to a small test area before covering the entire surface. Acid-based concrete stains are made up of inorganic metallic salts dissolved in an acid and water solution. They penetrate into the surface and react chemically with the concrete to form a permanent bond. The color they impart is translucent rather than opaque, resulting in deep, rich tones and attractive marbling effects. Non-reactive water-based stains fill the pores of the concrete surface to produce a colored film or coating, ranging from translucent to opaque depending on the product. The key difference is that no chemical reaction takes place, so the color is more consistent. Most of these products are also low in VOCs and safer to apply because they are free of solvents and acids. Once the stain is down, the color is permanent and there is no going back. It is important to take the proper precautionary measures when working with acid stains. Acid stains contain corrosive components that can cause eye and skin irritation and produce strong odors. ​Protecting stained concrete surfaces with a clear sealer or a wax will prolong the life of the surface.